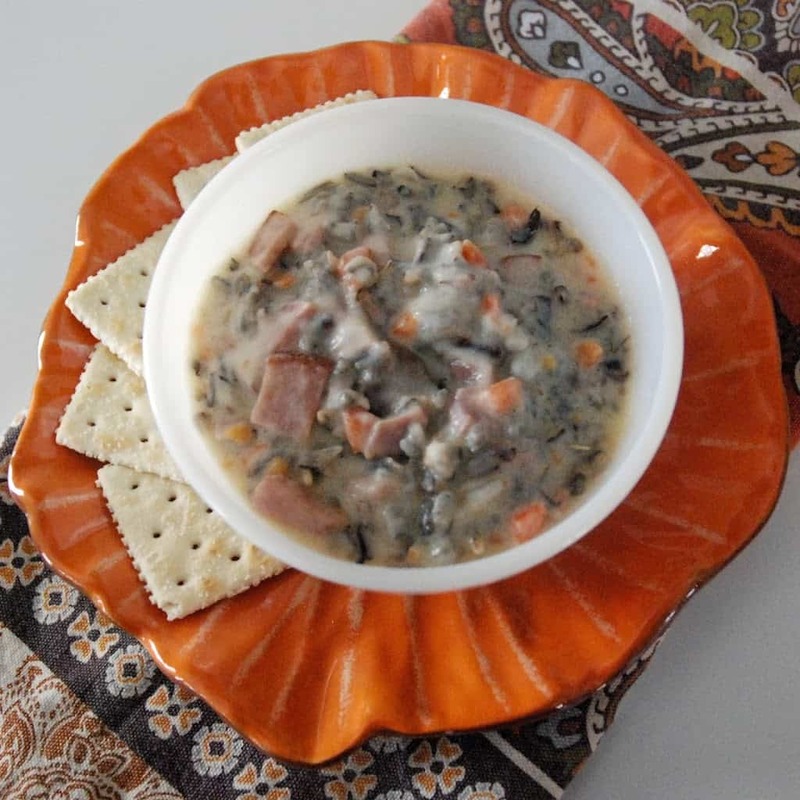 Growing up in Minnesota Wild Rice Soup was my all time favorite comfort food. 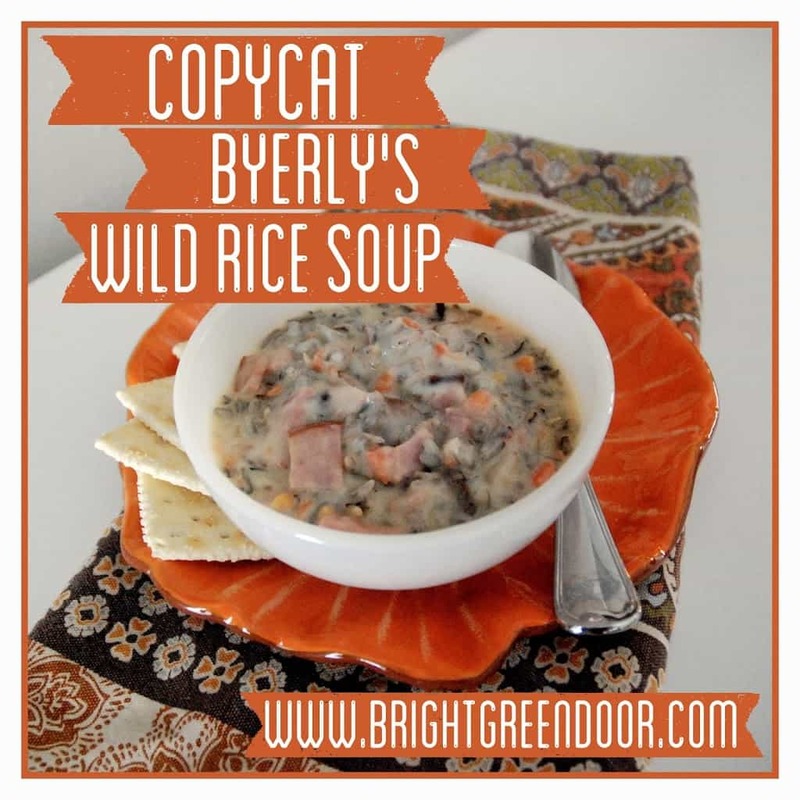 The best wild rice soup always came from a high end grocery store called “Byerly’s”. It was creamy, had a hint of sherry, and slices of savory ham. 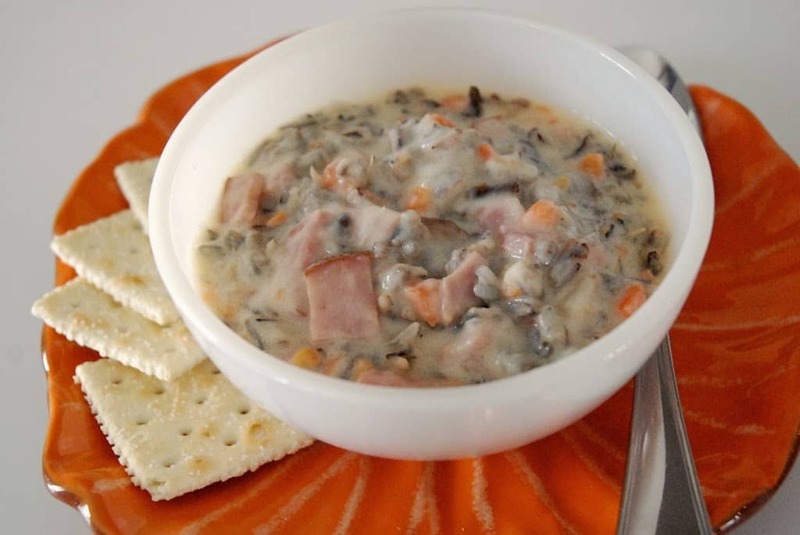 Now that I’m gown up on cold days I still crave Byerly’s Wild Rice Soup, except the closest Byerly’s is at least 8 hours away. I decided it was about time I try and re-create this awesome soup and I was so happy to say that I hit it right on the head! 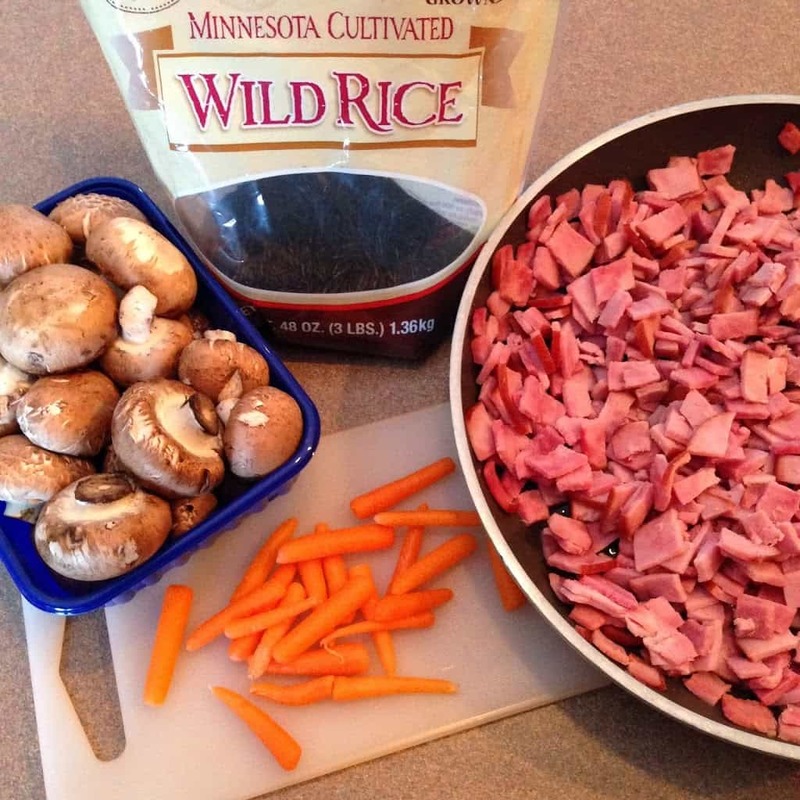 Cook 1.5 Cups Wild Rice with 4.5 cups of water and the sliced mushrooms and carrots for 1 hr or until all kernels have popped open, set aside. Add the flour in with a whisk and then add the chicken broth. Continue stirring until it comes to a boil and then for one more minute. Add the rice mixture, the ham, and the salt and simmer for five minutes. This was SOOOO good after every bite I couldn’t help but say, “mmmm”, “mmmm” and now every time Matt takes a bite of it he imitates me. It’s that good.